As I was moving to Urikaruus today I started packing the car after breakfast and left camp just before 7:00. The viewing was once again fairly slow until I reached the Auob river bed. I spotted the Cheetah mother and her two cubs (that was robbed of their meal by the male Lion). They were stalking a lone Springbok male but he was so far away and moved off so they abandoned the hunt. 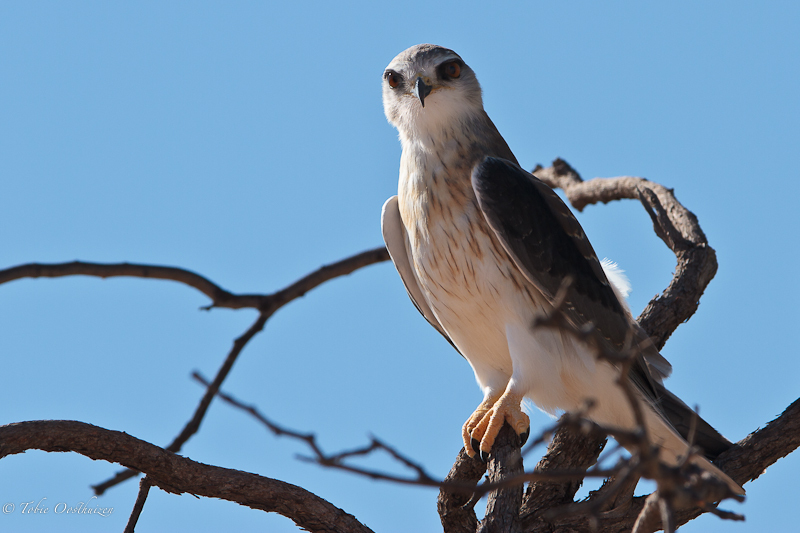 I also met Katydownunder on the way and we had a short chat in the shade of a huge Camel Thorn tree. I stopped at Dalkeith waiting for some action but nothing happened. 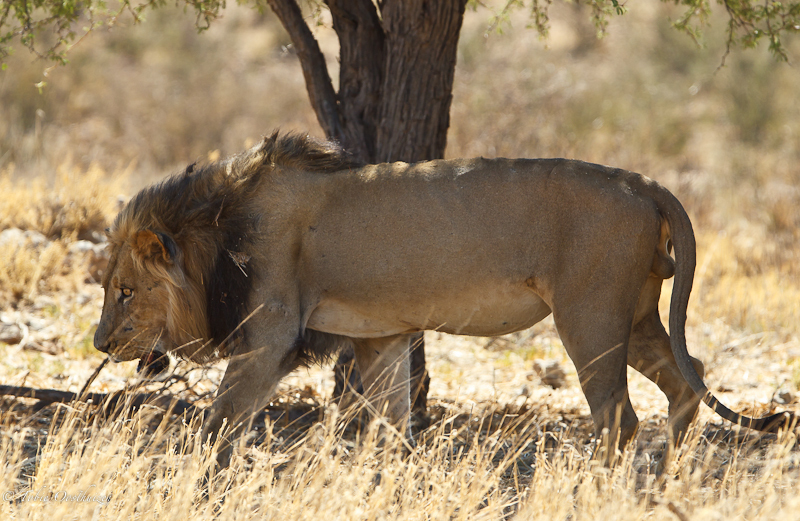 Some kind tourist drove past, stopped after +- 50 m and reversed back to the waterhole to tell me that there was a male Lion lying under a tree up ahead. I quickly went to investigate and he was kind enough to move to another tree with more shade. He was salivating and was walking with a serious limp. Was it the same male than yesterday??? 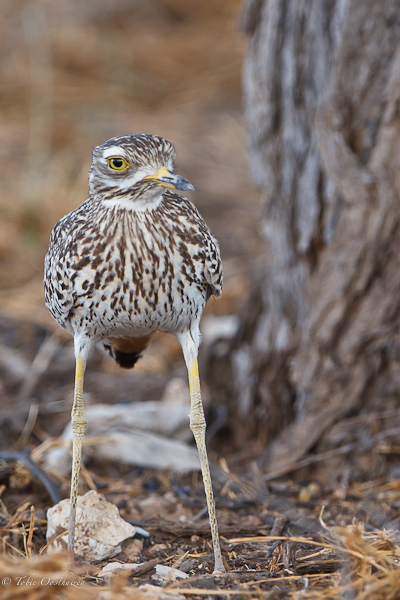 and slowly made my way to Urikaruus through the heat of the morning. I arrived at 11:30 and luckily my chalet no. 3 was ready. I quickly unpacked and settled for a cold one and a snack. The wind was really blowing and it was dusty. During the middle of the day it was really hot and so windy but it felt as if the breeze was actually just as warm. After a cold shower I left camp for a late afternoon drive. The animals were probably still hiding as sightings were very quiet. 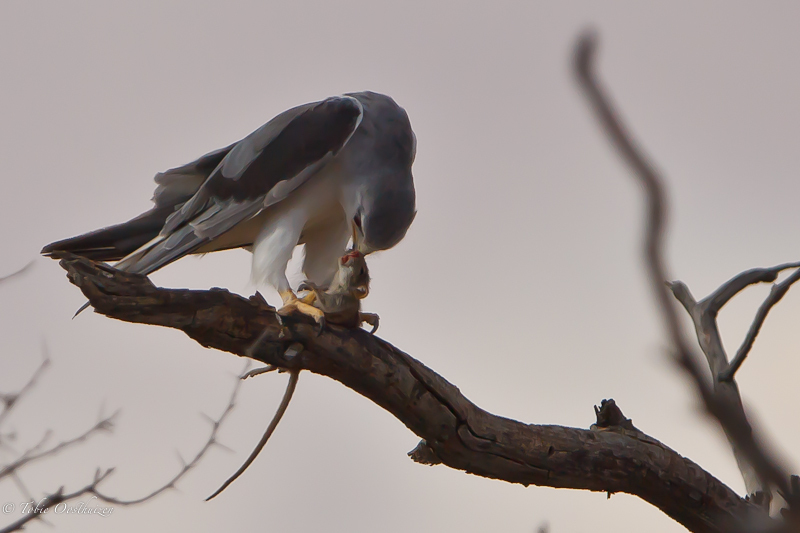 I watched this Black Shouldered Kite catch a mouse and then ripped it apart. 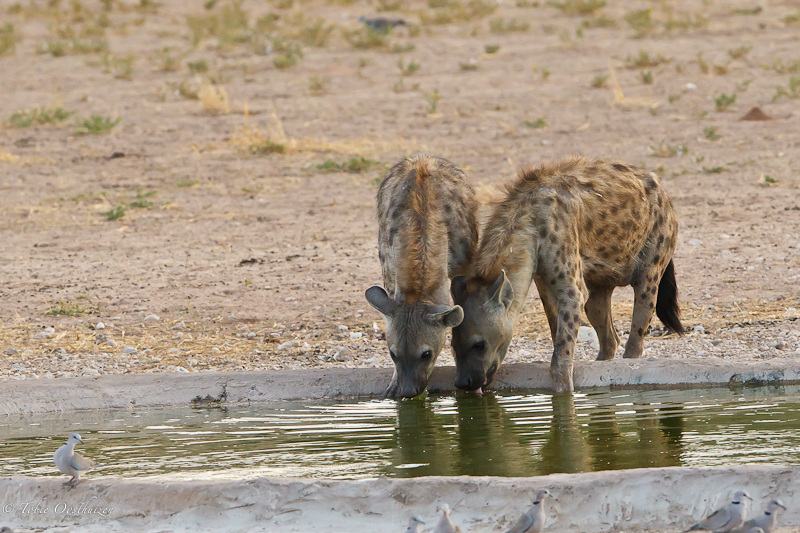 On my return to camp there were 2 Hyenas at the waterhole. They both came to lie down close to the chalets. My fridge is apparently not working too well as my beers were not even slightly cold. I did overload it but let me check in the morning.